What’s your favorite love story? 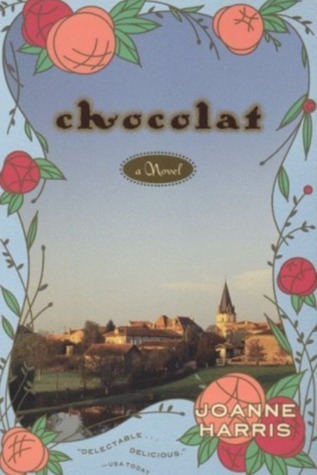 Is it Pride and Prejudice or do you love something more modern like Chocolat? Does your idea of a love story mean a romance like The Fault in Our Stars, The Elegance of the Hedgehog, Me Before You, or Eleanor & Park or does it mean the kind of love shown in The Book Thief, Hannah Coulter, or The Summer Book? One of my favorite love stories, The Guernsey Literary and Potato Peel Pie Society, has a touch of humor in addition to romance. What do your favorite love stories have that makes you enjoy them? Do you reread your favorites? Is one perfect for Valentine's Day reading? What does it mean to be brave when you’re an asthmatic 11-year-old girl, your mother has died and you’re in an exotic city where it’s eerily snowy? It means that Ophelia Jane Worthington-Whittard is a courageous heroine with heart in this fresh take on Hans Christian Andersen’s “The Snow Queen.” It means that Ophelia will face numerous dangers to save a nameless boy, a marvelous boy, she meets. Ophelia, her older sister, Alice, and their father, one of the world’s leading experts on swords, are in the snowy city for Christmas week so her father can organize an exhibition in an enormous, yet curiously empty, museum that resembles the Russian Hermitage in many ways. It’s a museum where: The guards sat in corners and knitted or dozed. Sometimes, they snarled and yelled like banshees for no good reason and other times, they let children climb on the glass cabinets, using the brass handles for footholds. Sometimes, they came rushing at people who just happened to stand too long in one place, and other times, they smiled huge toothless smiles and offered old fruit from their large black handbags. The museum in the city where it always snowed was the type of place where a person could easily get lost. Miss Kaminski, the museum curator, had said so herself. Miss Kaminski was dazzlingly beautiful. . . She had smiled at Ophelia and Alice before placing a perfectly manicured hand on their father’s arm. “It is advisable that they do not wander alone,” Miss Kaminski said. “The museum is very big, and several girls have become lost and never been found.” But Ophelia didn’t feel afraid. But “that boy, locked behind that door, made her feel unsettled. . . He shouldn’t have been there, and he shouldn’t have spoken to her and he shouldn’t have asked her to save the world. . . But if she retrieved the key for him, then she could at least say she had helped. She could probably find his name too. . . If she could let him out and help him find his name, then at least he might be able to get home.” Thus begins Ophelia’s quest through the museum to open hidden rooms filled with “misery birds,” ghostly girls, and enchanted clocks to find a magical sword all while hiding her journey from her father and sister. They all miss Ophelia’s mother who had died “exactly three months, seven days, and nine hours ago” and some of their unthinking actions reflect their grief. What child doesn’t love a book set in a museum especially one in which a brave 11-year-old girl can save the world by using her brains, her inhaler, and her heart along with a tube of super glue and a can or two of sardines when needed. Adding to the mystical story are Yoko Tanaka’s evocative illustrations of the snowy museum garden, the unsettling hallways, and the room of clocks. Summing it Up: Australian author Karen Foxlee delivers a magical tale of wonder for fans of Harry Potter, From the Mixed Up Files of Mrs. Basil E. Frankweiler, and traditional fairy tales. Children will devour this fantastic story as they’d down a thick mug of hot chocolate on a bitterly cold day. Parts of the United States have spent the winter of 2013 - 14 in a snowy deep freeze and this tale is perfect for a snow day when all is still outside and magic is brewing by a cozy fire.